If you find yourself in a situation where you are considering refinancing your mortgage, transferring it to another lender, or selling your house or condo before your current mortgage term is up, you must prepare yourself (and your budget) for the mortgage penalty you will incur by doing so. Otherwise known as a prepayment penalty, this fee is your lender’s way of penalizing you for breaking your mortgage contract early, and trying to recoup some of the interest charges they are losing in the process. While the banks all host their own prepayment penalty calculators now, many of them are confusing and ask for information that isn’t readily available, which makes the calculation that much more confusing. 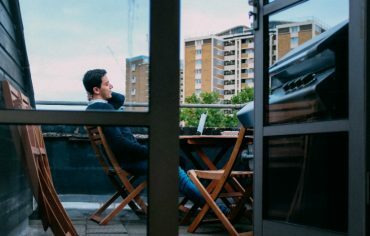 Because of this, we decided to take on the responsibility of calling each and every bank to find out exactly how they calculate their penalties and build an all-encompassing mortgage penalty calculator of our own. Check out the lowest interest rates available right now. If your mortgage is with Bank of Montreal (BMO), and you think you’ll need to break it before your current mortgage term is up, here’s how your prepayment penalty will be calculated. If you have a fixed rate mortgage, you have to pay the greater of the two. 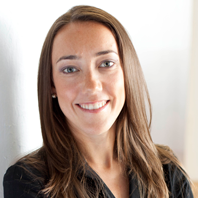 If you have a variable rate mortgage, however, you will always pay just three months’ interest. Let’s look at how both fees are calculated. Three months’ interest is exactly that: the amount of interest you would have paid during three months of your existing mortgage term. While some lenders use their Prime rate, BMO calculates three months’ interest using your current mortgage rate. 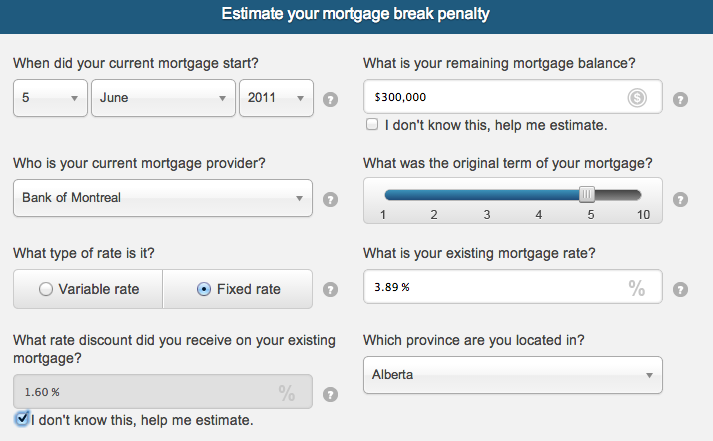 Here’s an example we put through our mortgage penalty calculator. To calculate three months’ interest, BMO would multiply your current mortgage rate (we used 2.25% here, which is the same as Prime – 0.75% if you had a variable rate mortgage) by the remaining balance of your mortgage ($300,000 in this example) and again by 0.25 (represented as 3/12 for the three-month period out of the year). The interest rate differential (IRD) is your lender’s way of finding out how much interest they’ll be losing by letting you break your mortgage early – and making you pay it. To calculate the IRD, your lender looks at your mortgage rate and how much time is left in your mortgage term, and the mortgage rate they could charge someone now for a new term that’s the length of the remainder of your term. Instead of looking at your current mortgage rate, however, BMO finds the posted rate from the day you signed your mortgage and subtracts today’s posted rate for a new mortgage that would cover the remainder of your term. Are you confused yet? 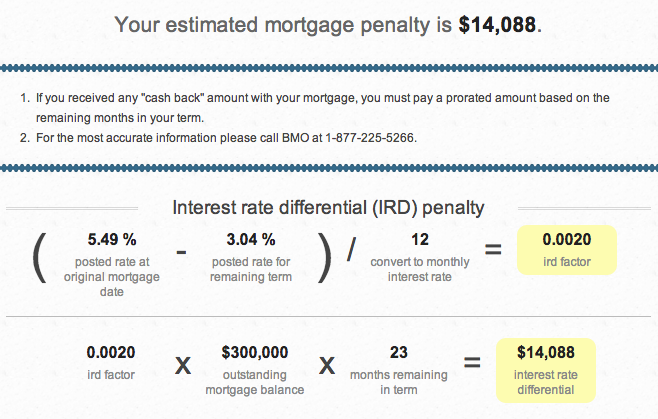 IRD calculations are one of the biggest reasons we knew we had to create a mortgage penalty calculator. Using the same numbers from our previous example, let’s say the balance of your mortgage is $300,000 and you have 23 months left in your term. BMO would first find out what the posted rate was for a 5-year fixed term on the day you signed your current mortgage (it was 5.49%). Then, BMO would determine which of their mortgage products someone would need to get today, in order to make up the remainder of your term; in this example, it would be a 2-year fixed rate mortgage. To calculate the IRD, BMO would find the difference between the old posted rate for a 5-year fixed rate mortgage (5.49%) and today’s posted rate for a 2-year fixed rate mortgage (3.04%), and multiply it by the remaining balance of your mortgage to determine how much interest they’d be losing by letting you break your mortgage term early. In this example, because you had a fixed rate mortgage, BMO would charge you the greater of three months’ interest or the interest rate differential (IRD). Since we know three months’ interest was only $1,688, you would have to pay the IRD of $14,088. While our mortgage penalty calculator gives you a good estimate of what you’ll have to pay to break your mortgage term early, there may be other fees involved as well. One is a discharge fee, which we’ve included in our calculator. As outlined in the chart below, it varies from province-to-province. 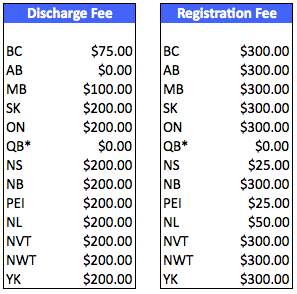 Because we used Alberta in our example, there was no discharge fee in our examples above. There may also be a registration fee, depending on which province you live in. *Note: In Quebec, you pay all other fees through a notary, rather than through your lender. In fact, it’s important for all homebuyers to know that you may have to pay a notary or real estate lawyer to complete this entire transaction (so you should also budget for legal fees). 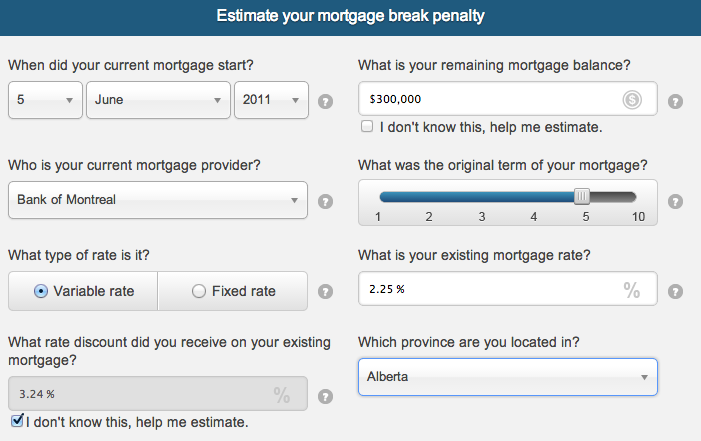 To do these calculations on BMO’s website, you need to find their prepayment calculator and fill in the inputs. If you have a fixed rate mortgage, you will need to know the rate discount you received on your original mortgage rate. If you don’t have this piece of information, you will need to contact BMO (1-877-225-5266). Or you can just let our calculator do the math for you. 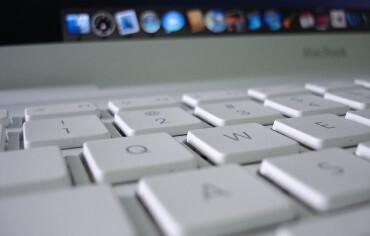 Check out the lowest interest rates available right now! What is the difference between the term and amortization of a mortgage?